It seemed appropriate that I was in Miami when George McGovern died; since that was the city where he was nominated. Unike the tightly orchestrated productions of today, the 1972 Democratic National Convention was a sloppy affair; few people in America watched McGovern make his incredible acceptance speech by the time he delivered it in the middle of the night. I had a close-up view, just a few feet away from the podium on the convention floor in Miami Beach; so swept away by his words and emotion (and dislike of Nixon) that I altered my plans on the spot, and decided to work for his election. Instead of going back to Boston where I lived, I went to Washington, DC, to volunteer–little realizing this would become a life–altering fork in my road. I entered the office building that housed the McGovern campaign—assuming there was something, someone, somewhere in that ten-story building that could use my skills (limited as they were). I was a graduate of Yale, with a degree in American history, inspired to help change the world, willing to do anything and go anywhere they wanted to send me. I wandered around from floor to floor—going from office to office. Advance. Speechwriting. Scheduling. No one wanted my help. Even for free. Before I left the bulding, disappointed, I tried one last place, the Press Department. In a few moments, I was sitting across a desk from a woman who said she would LOVE my help. Within a few days I moved to Washington, found a room to rent, and was immersed in my job as Assistant State Press Coordinator. I never did get paid for the months I put into the campaign working days, nights and weekends. The only money I made was when I took OFF 4 days to work as an extra on “The Exorcist”, which was shooting in Georgetown. During that time, the Watergate burglary was discovered, and Woodward and Bernstein began to write the news stories that really would change the world. In the McGovern headquarters, we were ecstatic, believing that surely the whole country would now believe– and elect McGovern over Nixon. The country learned the truth too late. But I learned a lot, including what a press person did. And during the campaign I also learned how important they were. In our department, everything we did was focused on getting press coverage, particularly on television. If I wanted to change things, I didn’t want to be trying to get the attention of those press people; I wanted to BE one of them. I know it must be hard to believe; but despite the polls, I seriously thought we had a chance. It was a rude awakening on election night when we lost every single state except my home state at the time. 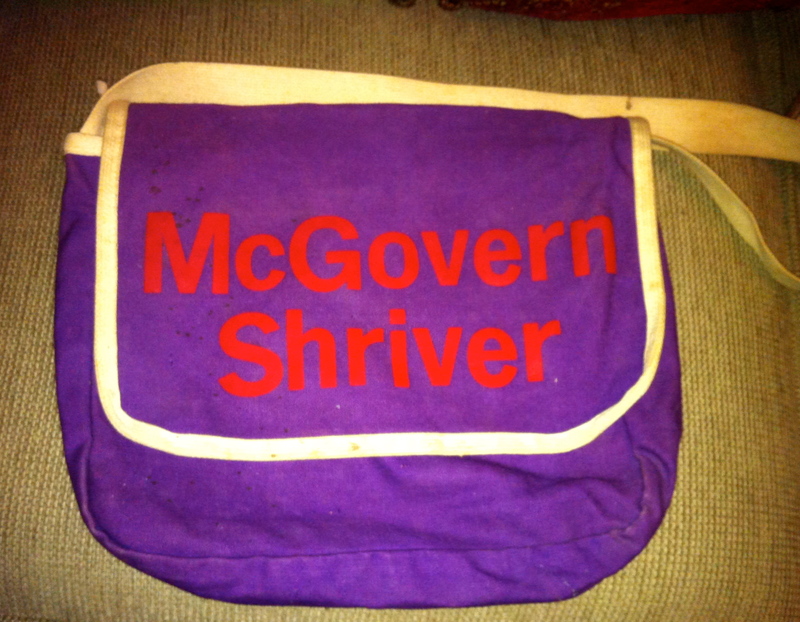 And the election wasn’t the end of my experience with McGovern. A few weeks later, I had gone home to visit my dad in Miami, and was planning to return to Washington to move out of my apartment. I still kept in touch with someone on his Senate staff, who told me McGovern happened to be in Miami and was returning to Washington the same day I was. I got a ticket for the same Eastern Airlines flight; and when I got to the gate, I told the agent that I had worked for his election and wanted to meet him. The world was such a different place—if I tried that stunt today, I’m sure I’d be locked up somewhere by Homeland Security. But in 1972, the agent was sympathetic, and McGovern was traveling alone, no aide, no entourage. She gave me the seat right next to him. For two hours, I had George McGovern all to myself. I hate to admit I wasn’t too respectful of his private space or his private time. I imagine that Senator McGovern might have had more important things to do. But he tolerated my endless flow of questions; he was incredibly gracious, honest, engaging and classy. I wish I could remember specifically what he told me. What I do remember is that for all the questions I asked him, he asked me even more, with genuine interest. That I won’t ever forget. At the next Democratic convention in New York, I was on the convention floor again. Just four years after I had watched McGovern win the nomination, I was one of those press people– covering the election as a television reporter. 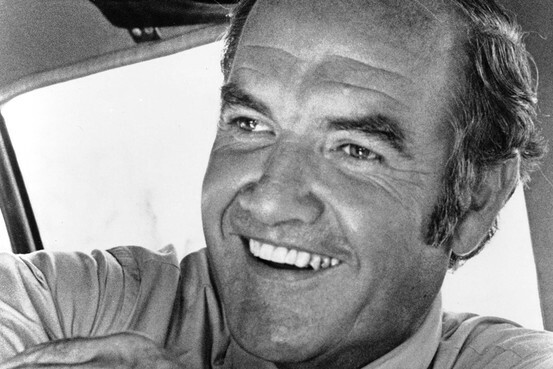 So George McGovern changed the course of my life—though I really wish he had the opportunity to change the course of American history; our country would be better for it. It’s amazing all the stuff about you that I’ve only become aware of by reading your blog. It knew nothing about you talking your way into getting the seat next to McGovern for the plane flight to DC – a great anecdote.